What format is the sound and music originally in? Extensive progress has been made on this (thanks, Calima! ), and now we need someone with a flashcart to test it on hardware. The lightgun support in particular is ambiguous. At the title screen, shooting away from the screen should select the next option and shooting the screen should start the game (much like Nintendo's zapper titles worked). But I get different results on different emulators. I appreciate your cooperation, everyone! I'm guessing that most of the graphics aren't supposed to be garbled and unrecognizable? If that's correct, then there is at least a conflict with an Everdrive N8 in a top-loader NES. 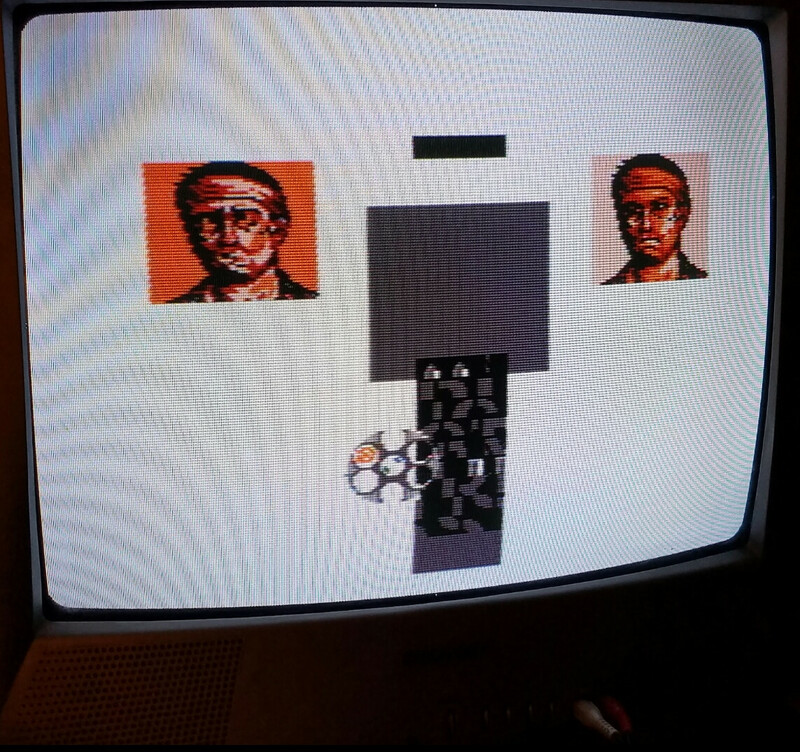 Can confirm that the graphics are garbled on a PowerPak and frontloader too. The initialization code doesn't initialize the whole MMC3. Every register on the mapper should be presumed to have an unknown state on power-up, unless otherwise specified. Emulators don't tend to randomize these things on startup (for stability reasons it's often preferable to have a consistent startup state). Bank 5 (CHR $0C00-0FFF) is uninitialized. Bank 7 (PRG $A000-BFFF) is uninitialized. The other registers (mirroring, PRG RAM, IRQ at $A000/$C000/$E000) are all uninitialized. Bank 5 is set later on, when it's actually used, and bank 7 is not used at all, so I don't think it matters what it points to? Mirroring doesn't matter since we don't scroll. Unless the mmc3 somehow doesn't acknowledge the last R6/R7 write, but rather expects all eight to match? PowerPak/ED problems are probably caused by non-power-of-two CHR size. Here's an updated version that sets the PRG RAM register, dummy switches for banks 5 and 7, and disables IRQ. FCEUX tells me that there are 19 8KB CHR-ROM pages, which is really odd! Memory on the NES should always be in powers of 2, so you should try increasing that to 32 x 8KB, even if you don't have any actual graphics in these 13 pages. Updated with CHR padded to 256kb. Anybody else getting graphical glitches whenever the trigger is pulled in-game (on an NES)? Trying on a powerpak now. The initialization didn't change anything (I think you were right that it doesn't matter; though it doesn't hurt, I suppose). Padding CHR out to a power of 2 did help though. Seems to be running correctly. I do not see any graphical glitches, Jedi. I do wonder why the battery backed RAM bit is set. When I reset, the PowerPak wants to save RAM for me. Does this game really have a save? Are you using a lightgun?